An insightful and compelling account of the life of Helena Swanwick, a pacifist and feminist during the 20th century. This is a biography of Helena Swanwick, a remarkable woman who has been greatly overlooked. Apart from her autobiography, there are virtually no accounts of Helena Swanwick’s life, firstly as a prominent campaigner for the rights of women and secondly as a dedicated pacifist who in the early years of the 20th century foresaw the horrors of the war to come. She herself wrote a number of books of which The War in its effect up Women and Women and War are perhaps the most compelling in their understanding of how women would suffer in the event of the conflict. Swanwick worked closely with E D Morel, and during the years of World War I was secretary to the Union for Democratic Control. Following the end of the war, she was elected as a substitute delegate to the Fifth Assembly of the League of Nations, the first woman to be so. Helena Swanwick finally retired to her house in Maidenhead where she was able to pursue her love of gardening. 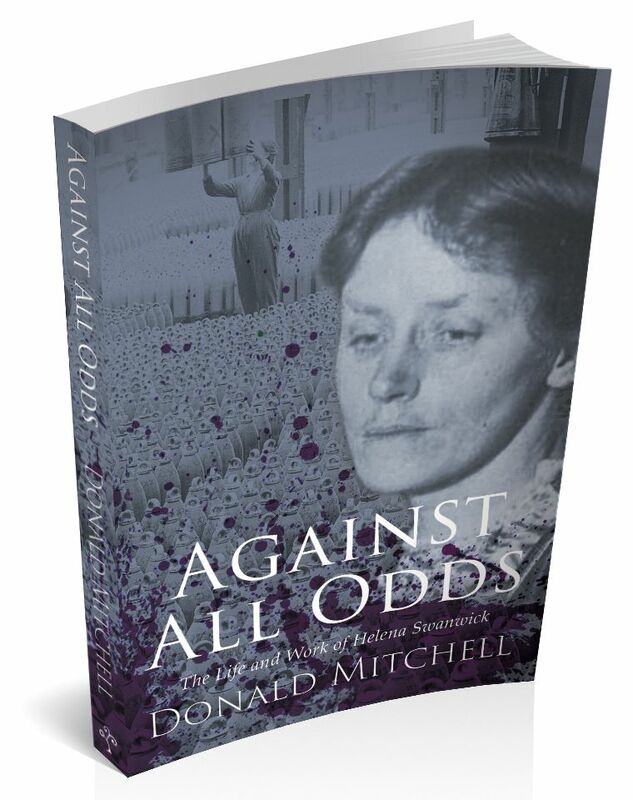 Donald Mitchell is the author of The Politics of Dissent, a biography of E D Morel, in which Helena Swanwick plays a significant role. He was born in Northern Ireland and has a BSSc and an MSSc from Queens University Belfast and an MRes in Humanity and cultural studies from Birbeck College, University College London. Most of his lifelong interests have been agriculture, animal husbandry and the environment, and his working life has revolved around these matters. Have a look at the Advance Information (AI) Sheet here.